simple, ad-free Bible that brings God’s Word into your daily life. 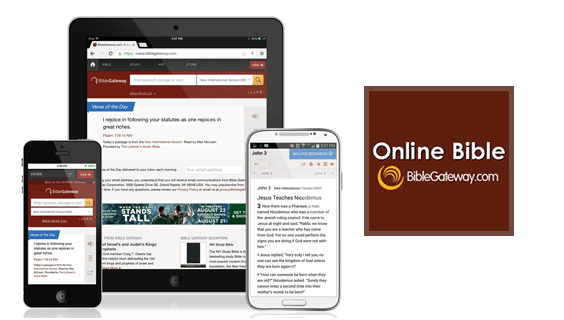 A brilliant online Bible that makes it easy to search for keywords and scriptures. Available in heaps of languages plus heaps of English translations. Blue Letter Bible provides powerful tools for an in-depth study of God’s Word through our free online reference library, with study tools that are grounded in the historical, conservative Christian faith. Teach All Nations Inc. (TAN) exists to fulfil the Great Commission of our Lord Jesus Christ, when He says “All power is given unto me in heaven and in earth. Go ye therefore and teach all nations“ (Matthew 28:18-19). We want to equip people worldwide to know and serve God in the Third Millennium.